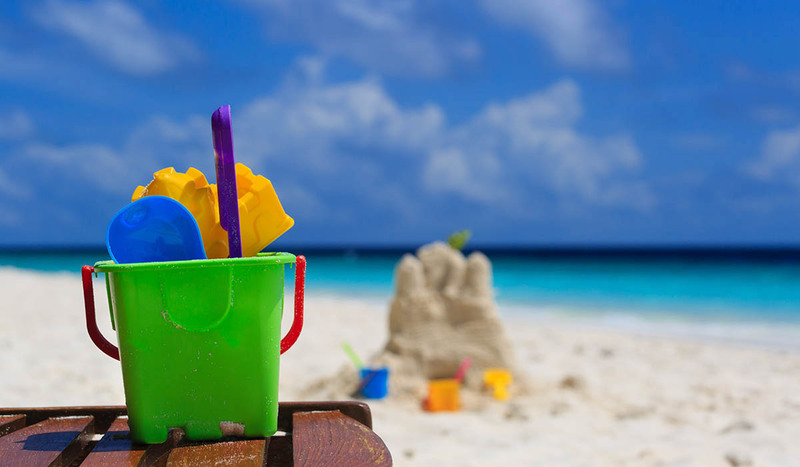 Summer trips often involve beaches, and beach trips are more fun for kids when there are cool toys to accompany them to the sandy destination. The beaches that are visited may be on the banks of a mountain river or lake rather than the ocean, but the type of beach visited doesn’t really matter. Having fun is what really matters. Fortunately are some great beach toys that can help make any outdoor excursion with kids a successful, fun filled and play filled experience. The toys that made this list are all budget friendly, fun friendly and beach friendly. Any kid will be enticed with this catch and toss game set. 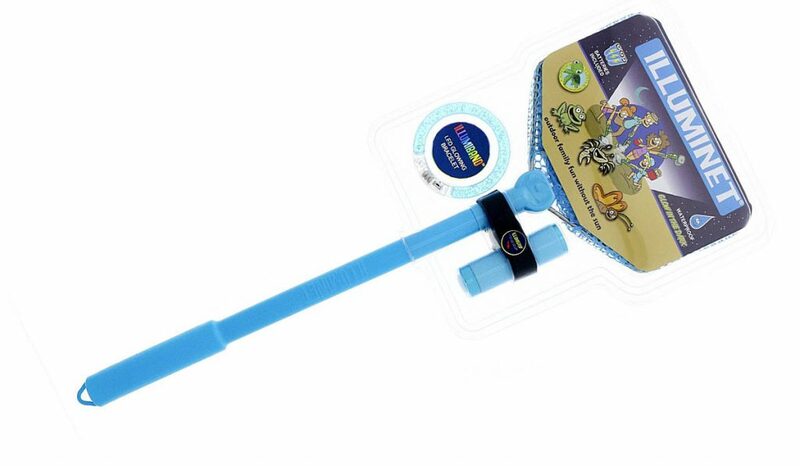 The package includes 1 ball covered with a touch fastener and 2 handheld stick disc paddles. 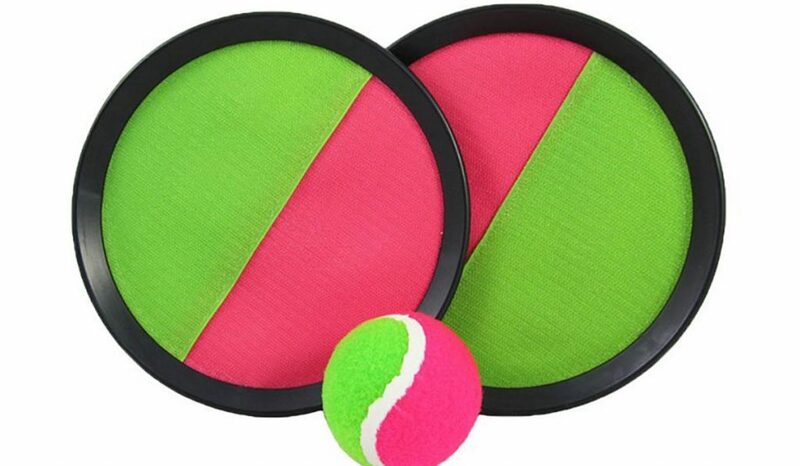 The ball is made softer, smaller, and lighter than the traditional tennis ball to avoid breaking stuff or hurting the players. Children of 3 years of age and above will have no problem gripping the ball. Playing catch and toss lets your child develops hand-eye coordination in a conventional way, and this set is made well enough to ensure lots of fun play days at the beach or in the backyard. Bring out the child in you while you enjoy playing this vintage-designed boomerang with your kids at the beach. 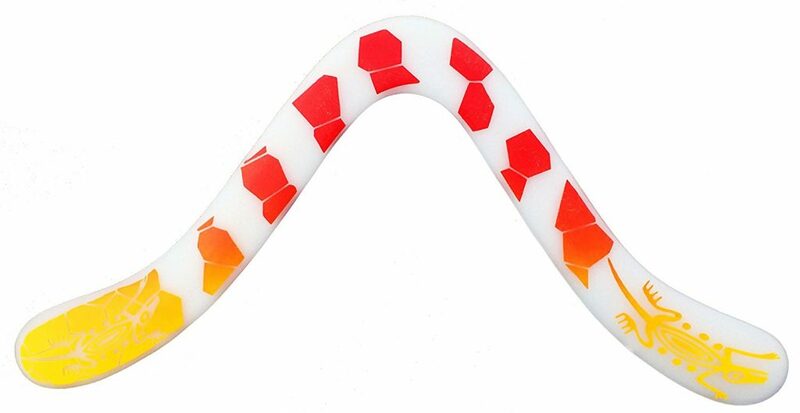 It is well-crafted and manufactured by Colorado Boomerangs which is the leading boomerang maker in the United States. It is ideal for ages 8 and above. It is lightweight and makes it easier to get airborne even in light to medium winds. Your kids can learn the art of boomeranging through its fully illustrated booklet that comes with it. It teaches how to throw and make this amazing little thing fly in the air and how to take care of it as well. Are you up for tide-pooling? This ghost crabbing kit may be handy on your next beach adventure. It is made with high-quality floating plastic net with an 8-inch stainless steel hoop for easy critter catching or shelling. Whatever color you choose, they are all designed to be one-hand operated. They are all made with custom clips that connects the net with the LED lights. It guarantees a fun night time adventures as it lights up the night with its waterproof flashlight and a glowing LED bracelet. 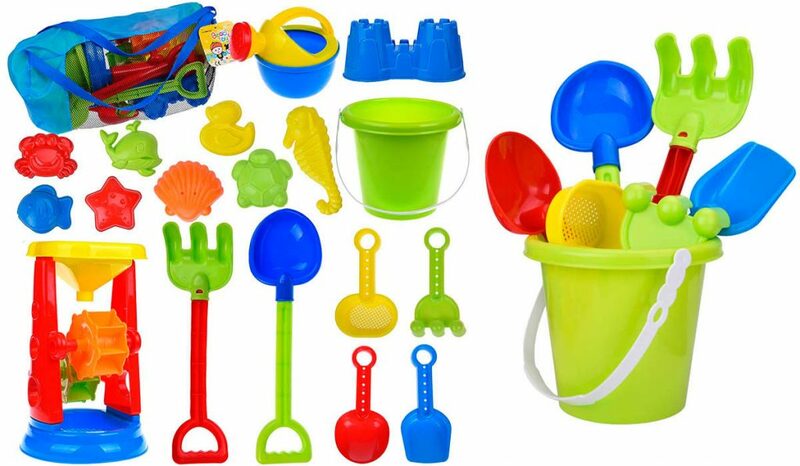 You can never go to the beach without this all-time favorite beach toy set for your toddlers or kids. This beach sand castle building kit is complete with a bucket, water wheel, water can, rakes, shovels, drain shovel and 9 cute sea creature molds. It comes with a drawstring mesh backpack for easy storage. The pieces are also made with non-toxic plastic material which are safe for your toddlers. It let your toddlers use their imagination and help them discover their creative side while having fun with the sand. Heading to the beach? 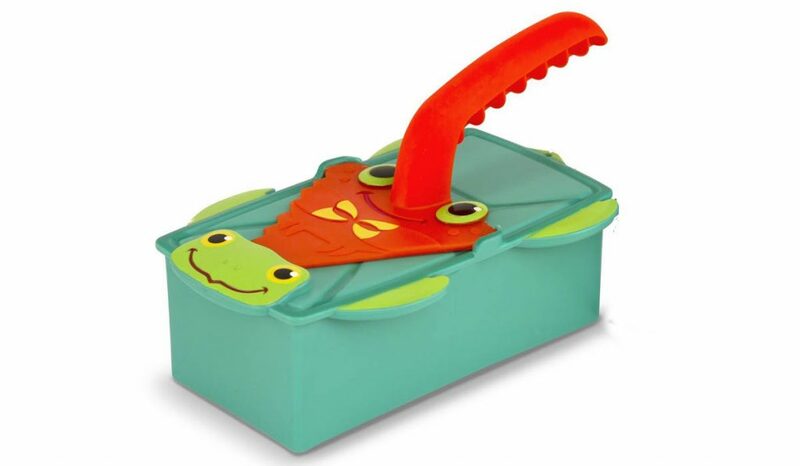 Don’t forget to grab this sand brick maker from Melisa and Greg for your children to enjoy. It’s easy to use as the brick mold is just filled with damp sand then all you need to do is level it off with a trowel and just dump it upside down. It consists of a 2-piece sand molding set and a trowel that snaps together for easy storage. The colorful Sunny Patch character design adds fun to it. These easy-to-grasp pieces make great tools for your little architects and engineers as they surprise you with their artistic constructions. Due to the fact that this ball needs to be connected to a hose it may be better suited for the back yard than the beach, but many beach or lake side camp sites have faucets, so we thought we would include this toy, because it is so much fun. This 23.6-inches sprinkler beach ball is made of high quality PVC material for durability even after multiple uses. It is made with 4 blow holes and 1 inflation hole at the bottom. Once inflated, this rainbow sprinkler beach ball needs to be connected to a hose to fill it up with water through its water filling red nozzle. 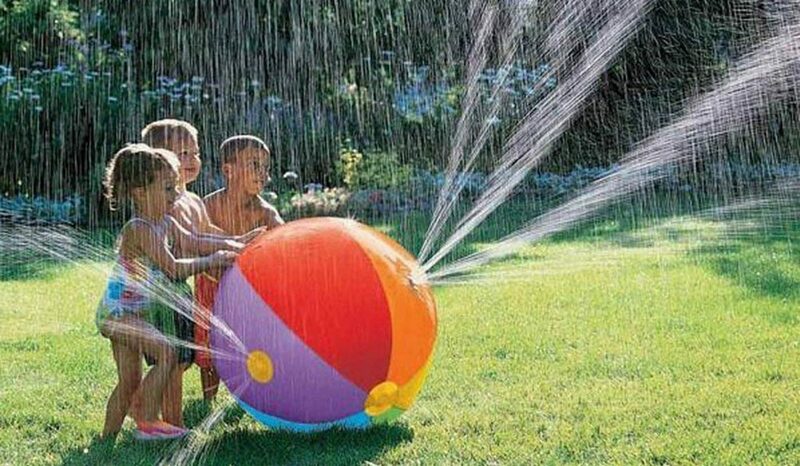 It can create fun time with your kids and their friends as they all get wet from this sprinkler ball as its 4 blow holes sprays up to 10 ft. Of water in different directions. Keep your kids active by having them launch water balloons farther than they can throw them. The BulbHead Battle Balloon Launcher feature a sleek aerodynamic design to easily load and quickly launches the battle balloons. 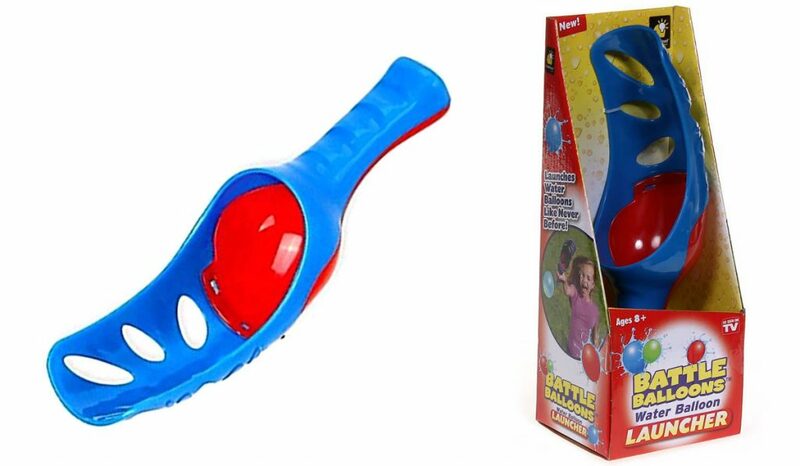 This water balloon launcher is compatible with battle balloons and color burst balloons that adds more fun and excitement at the beach. Make sure to use the recommended type of water balloons, because some balloon brands tend to break inside the launcher. This ice cream shop set from Lighthead is complete with 16 pieces assorted beach ice cream toys and mold set. It includes the whole tent, big ice cream, big spoon, transparent cover, small spoon, small ice cream, and dessert. They come in fantastic vibrant colors and are made with terrific quality, making it safe for your kids while they remain busy and creative in a fun-filled activity. 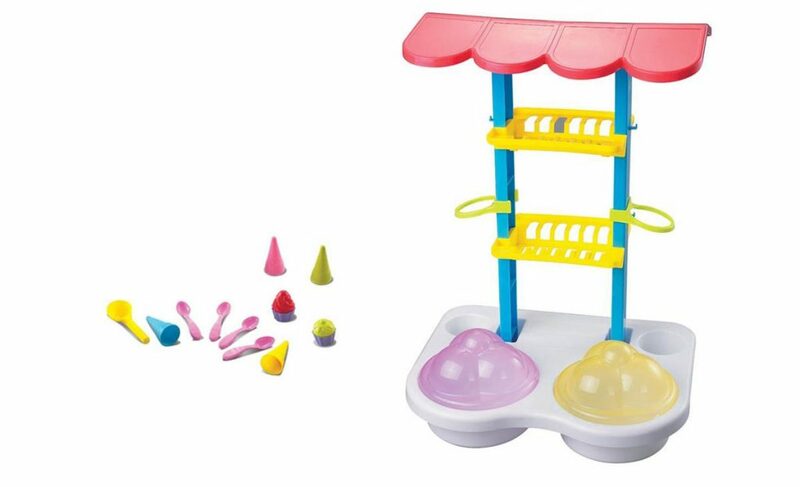 This ice cream play-set allows your children to have fun in the sun and sand while promoting creativity and active play. However after an afternoon of playing with this great set you may have to purchase the real thing for your kids on the way home from the beach. 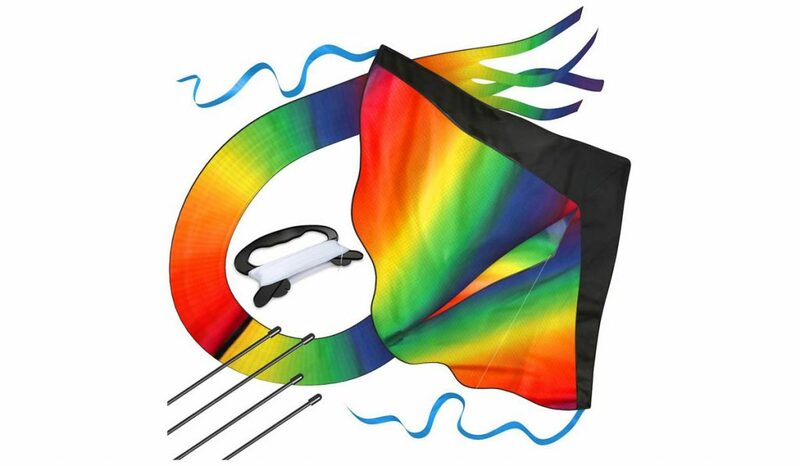 A sure hit for both children and adults, this huge rainbow kite is easy to assemble and hold. It is a beginner kite that features a kid-friendly handle for stable handling that allows the wind to fly your kite without any twists. It is made of non-toxic, durable, and light fabric material, making it easy to launch even with minimal wind conditions. Teaching your kid how to fly a kite is made easy as it comes with a handy guide. Learning how to launch and control a kite promotes coordination and problem solving ability for the youngsters and it is a whole lot of fun. If you need a sturdy blanket or mat for your next beach trip check out our Outdoor Blanket and Mat Guide. Summer trips often involve beaches, and beach trips are more fun for kids when there are cool toys to accompany them to the sandy destination. Any one of the fun beach toys for kids mentioned in this post would be a welcome addition to a sandy day outdoors by an ocean, lake or river.